Not your typical 'hippy', many years ago, Dharma Shakti began her path at age 19 in the Ayervedic arts. Dharma went from massage and healing to teaching yoga and motivational speaking, rooted in the spiritual. Named by the Long Beach Post as one of the "40 Under 40" in 2013, she has taken her business model forward and touched a lot of lives in doing so. 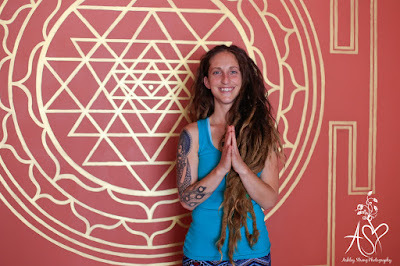 Considering the amount of patience it's taken her to expand, get her own studio space, and train teachers, Dharma's small business story is worth note for many reasons.